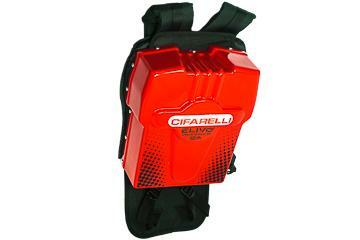 Battery for harvester - Cifarelli S.p.A. The Elivo olive harvesters can operate without any converter, with automotive batteries. In this case, it is recommended to use a fully charged 70 ampere battery. The Cifarelli lithium battery offers great reliability and, when fully charged, exceeds 8 hours of continuous operation without any evident loss of performance.